Barnes & Noble has signed deals with major worldwide studios to launch its new Nook Video service for its recently launched Nook HD and Nook HD+ tablets in the UK. The company has agreed deals with BBC Worldwide, HBO, NBCUniversal, Sony Pictures Home Entertainment, STARZ, and Warner Bros. Entertainment to offer digital films and TV shows, but will also become the UK’s first Ultraviolet retailer, allowing customers to enjoy their DVD and Blu-ray purchases in digital form. 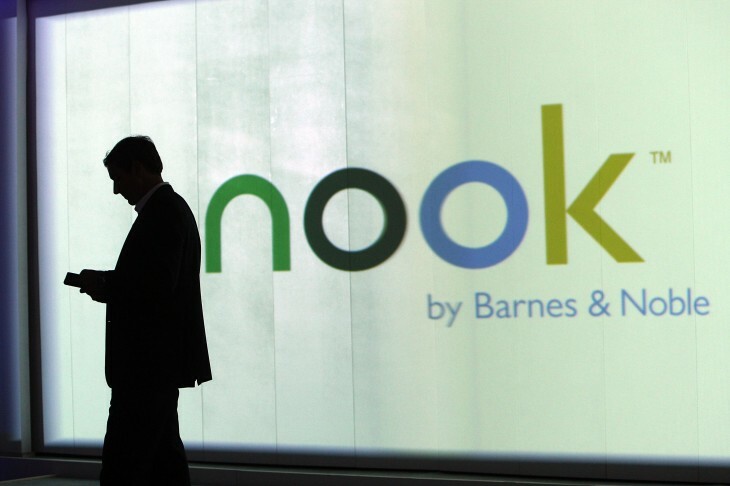 Barnes & Noble has worked quickly to launch its new hardware and storefronts in the UK after its e-readers went on sale at the end of October, followed by the launch of its Nook HD and Nook HD+ tablets in mid-November. As well as its digital book and apps stores, the dedicated video service for movies and TV shows helps it not only rival Amazon but also Netflix and Sky’s Now TV. Films and TV shows are available to rent or download, which is different from the unlimited streaming services that other companies provide but similar to Apple’s business model. Ultraviolet availability is also a notable first for the bookseller. Now, when Nook owners buy an UltraViolet-enabled film or TV show, they are able to redeem a digital copy of that same purchase. Customers can now easily link their UltraViolet accounts to the NOOK Cloud allowing them to view their previously and newly purchased UltraViolet-enabled movies and TV shows via NOOK devices and NOOK Video apps. In addition to purchasing a digital version via NOOK Video, customers can shop for DVDs and Blu-ray Discs with the UltraViolet logo, add them to their digital collection, and instantly watch compatible titles from the NOOK Cloud. Like its rivals, Barnes & Noble is already in talks with other “leading studios,” and expects to announce more deals in the near future. Today’s announcement takes Barnes & Noble’s media offerings up to 3 million books, apps, periodicals, TV shows and movies. With dedicated hardware and media services available to customers, the company hopes to become a “one stop shop” for content, locking customers to the platform – in a good way.